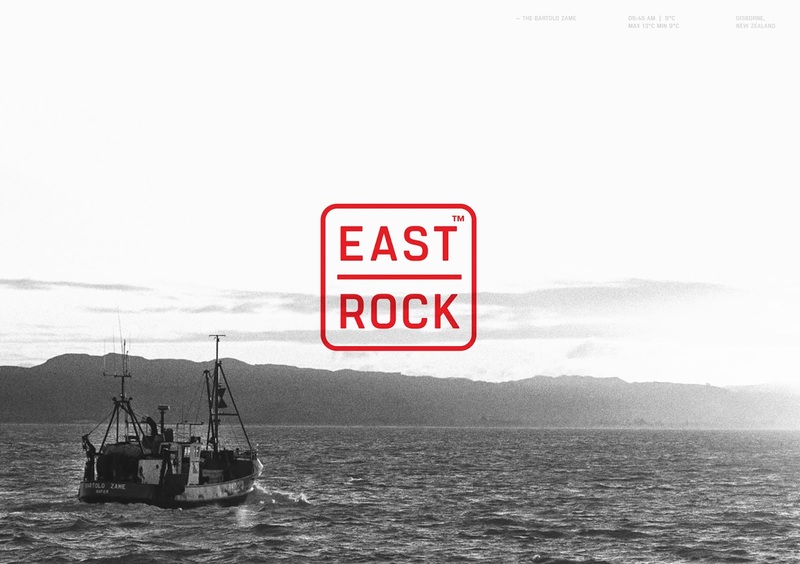 Gisborne-based fishery East Rock was founded by brothers from Stromboli, Italy in 1926. After four generations of fishing the East Coast, the Zame family still follows the sustainable fishing methods they have always practiced — using small boats on short, regular trips to ensure the freshness of their catch. A key point of difference is the product’s ocean-to-plate transparency, with every fish traceable to the boat and location it was caught. 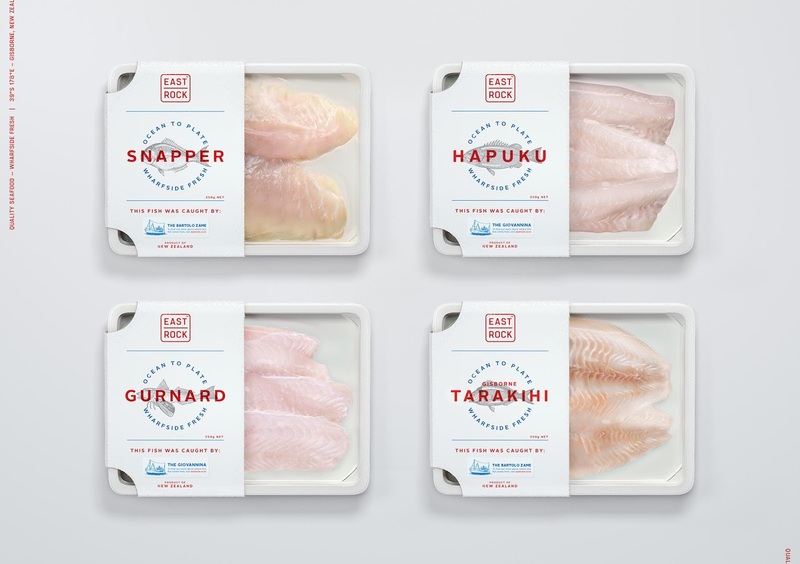 East Rock wanted to tell the story of their heritage and sustainable practices while appealing to local customers and the Asian export market, who love the quality and freshness of New Zealand fish. 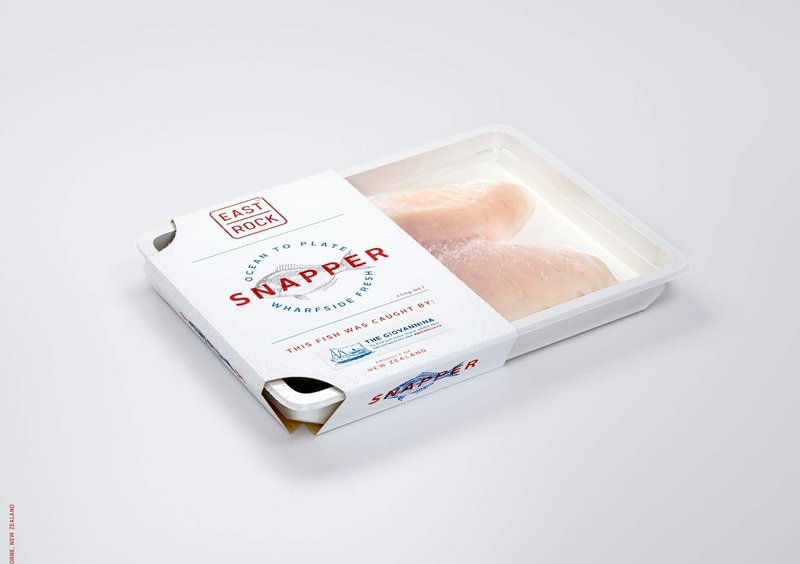 We had the added challenge of designing efficient packaging for a busy factory environment – helping meet the company’s guarantee of having their product on shelves within 24 hours of the fish being caught. To speak to a culturally diverse market, we drew inspiration from Asian art forms such as Gyotaku – where a real fish is layered with ink and a print is taken directly from the skin. The logo uses Hanko signature stamps, which are hallmark stamps that signal quality across cultures. To further communicate quality in every language, the packaging needed to look exceptionally clean and fresh. 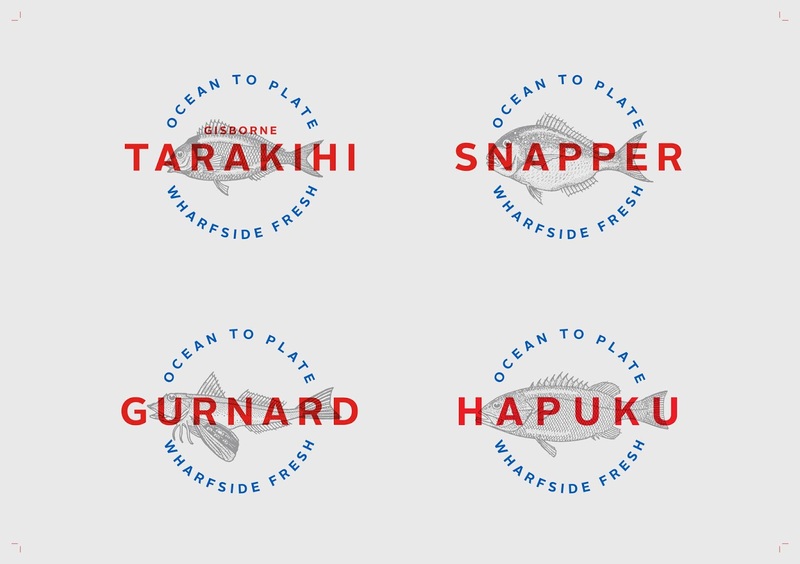 We used negative space to draw focus to the product and chose bold, clean typefaces inspired by ship stern plates. The colour combination was chosen for its striking effect and international feel, with the bold red referencing Italian passion and Japanese stamp ink. 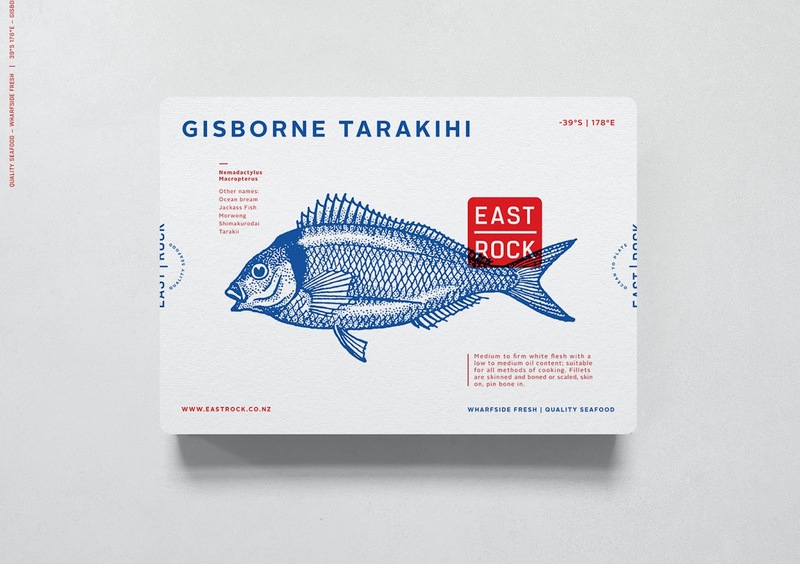 Combined with blue and white, the colour scheme also reflects East Rock’s New Zealand beginnings. 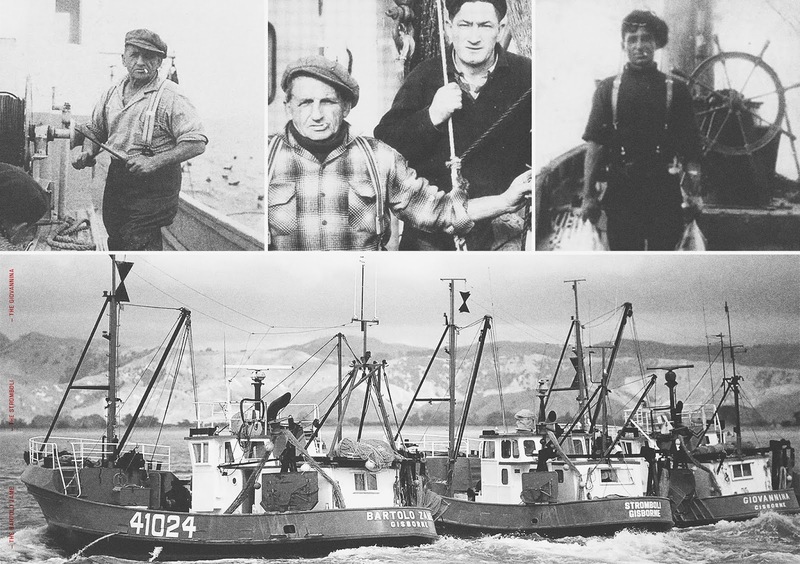 Black and white photos, fishing coordinates and encyclopaedic illustrations of each boat reflect the expertise that comes with almost 100 years of fishing New Zealand’s east coast. 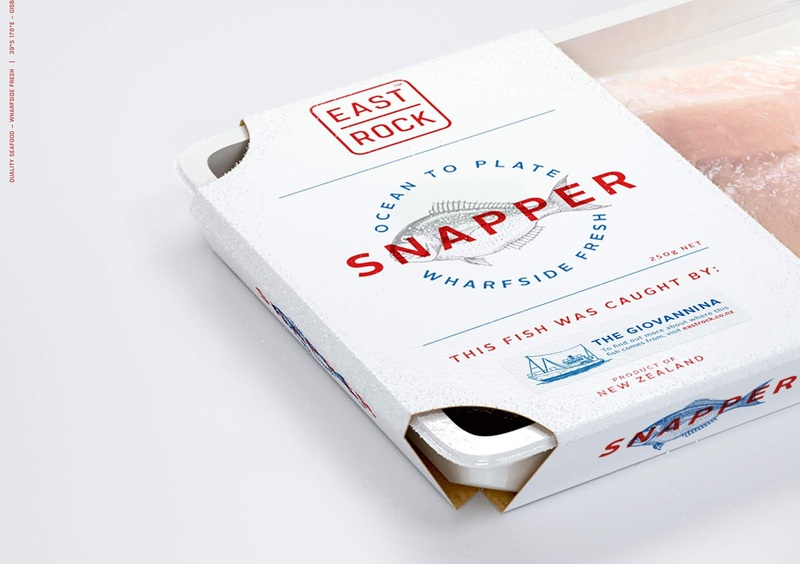 It was vital that the packaging showed where each fish was caught. We created a separate sticker to display which vessel the product came from – letting customers know exactly what they were purchasing. This gives them confidence in the product’s freshness and sustainability. The sticker was designed to be a key part of the packaging, not an add-on. To accomplish this, we reserved space on the packaging and created a deliberately eye-catching sticker that clearly communicates this important information to consumers. 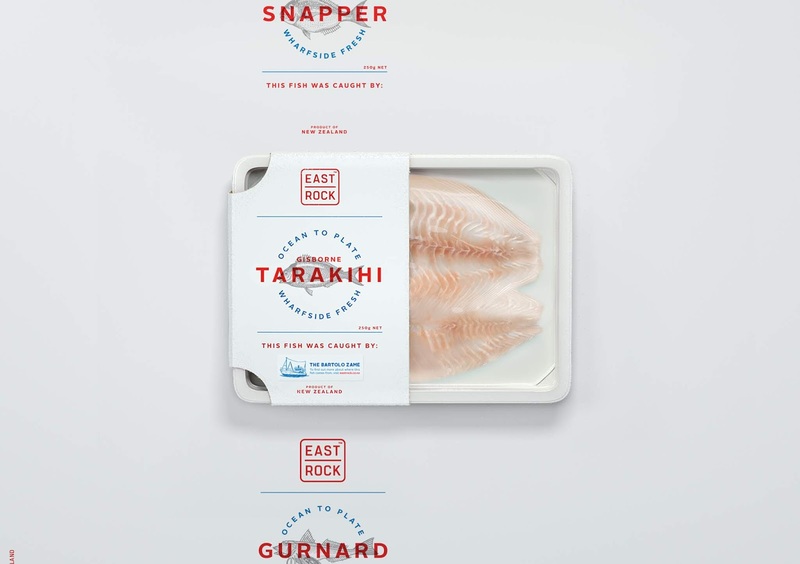 The result is packaging that helps launch a new concept of fish delivery – celebrating East Rock’s small-scale, high-quality practices while appealing to both local and international audiences. We produced a custom sleeve to show as much of the product as possible — a balance between form and function. 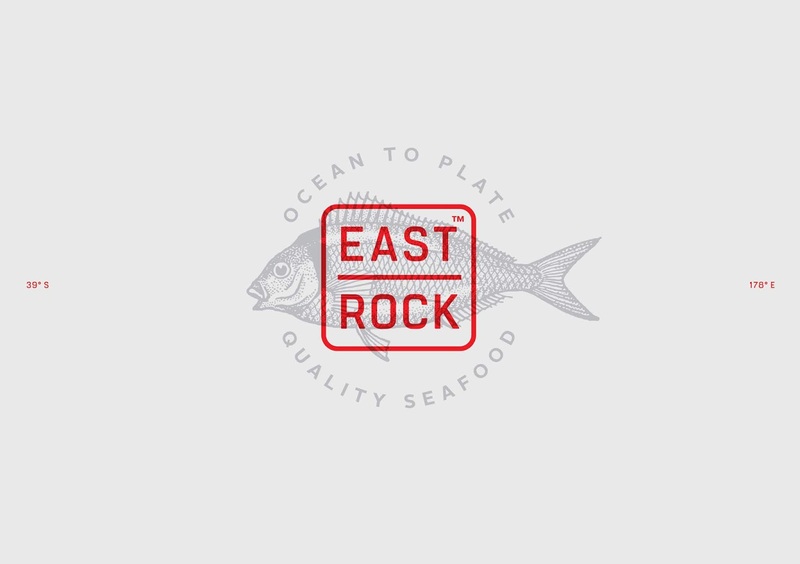 This fits East Rock’s commitment to transparency, as well as using 50% less material in line with their value of sustainability. The three-sided sleeve was designed to be shipped flat, yet not require assembly during processing. 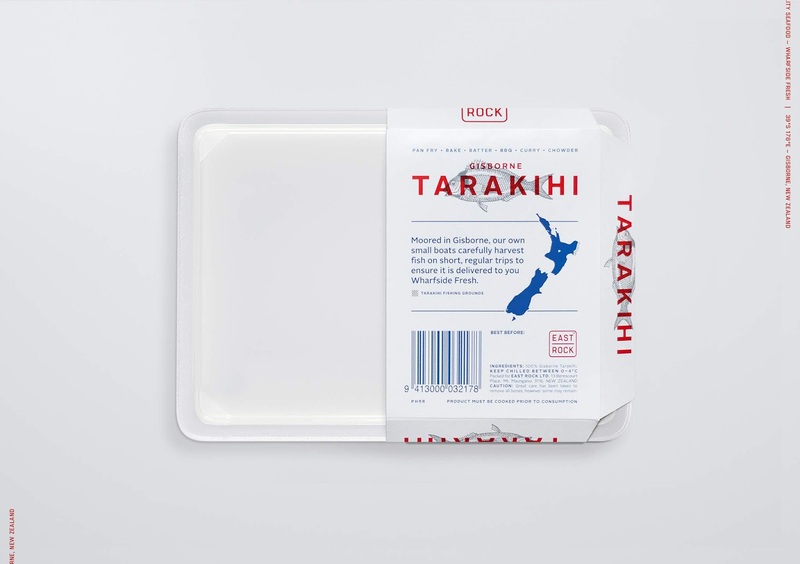 Fish packers have a ‘dry hand’ and a ‘wet hand’, so the design allows them to use a single hand to pop the sleeve open and quickly slide it over the product – with a tight tolerance that requires no added adhesive.